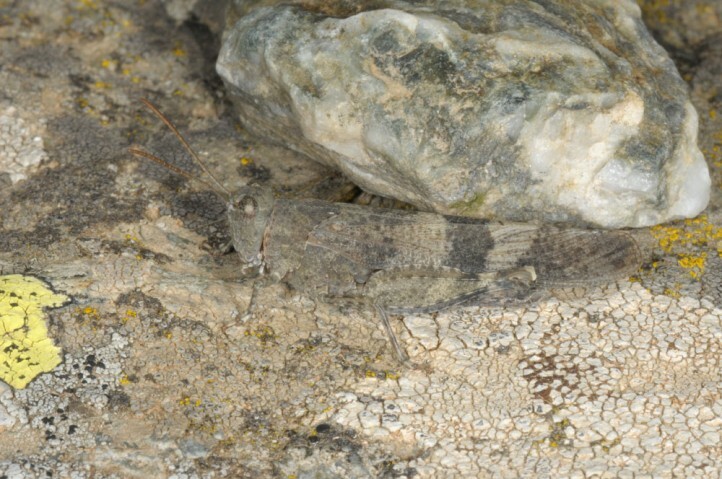 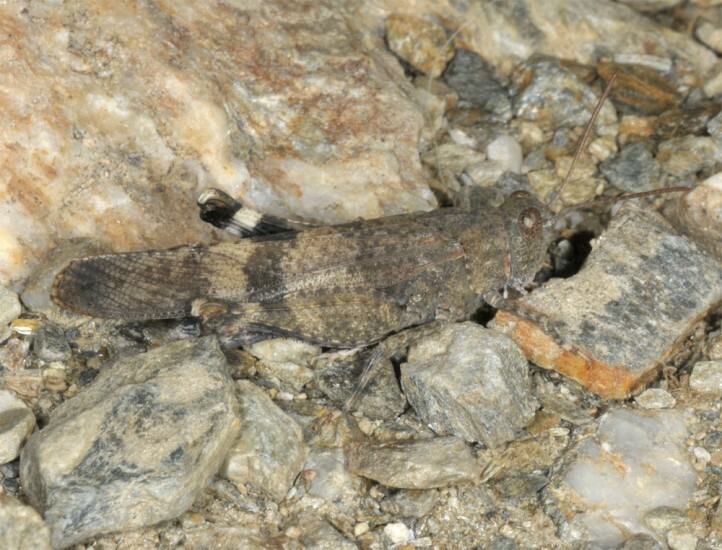 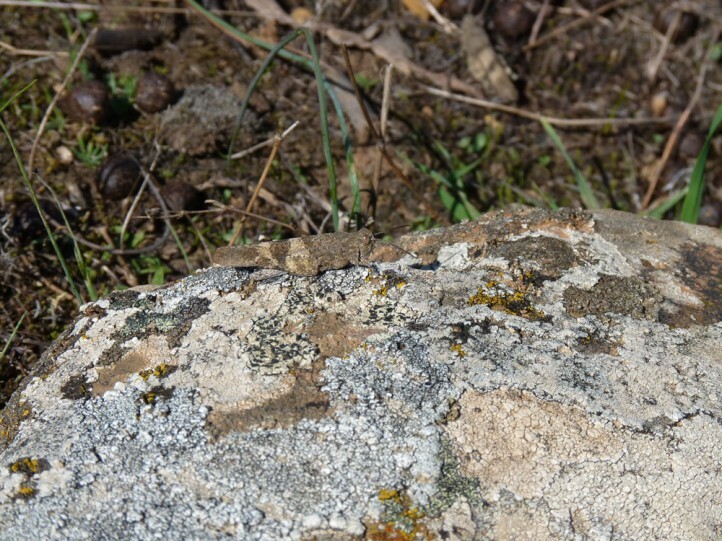 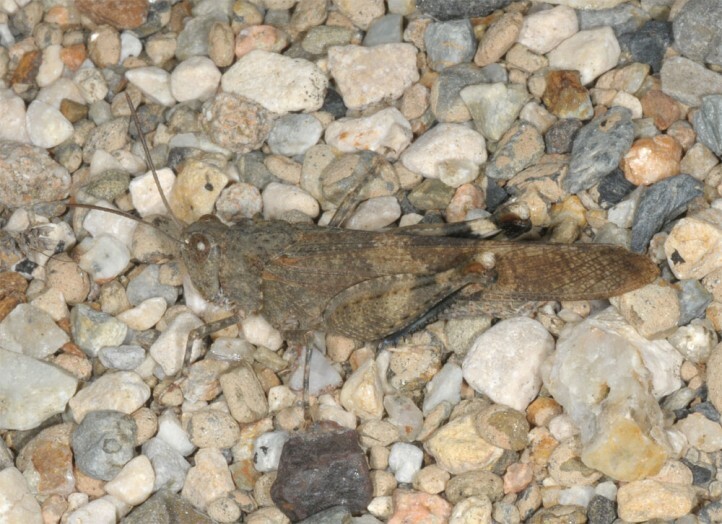 Oedipoda fuscocincta usually occurs in rocky places, sometimes also on open soil. 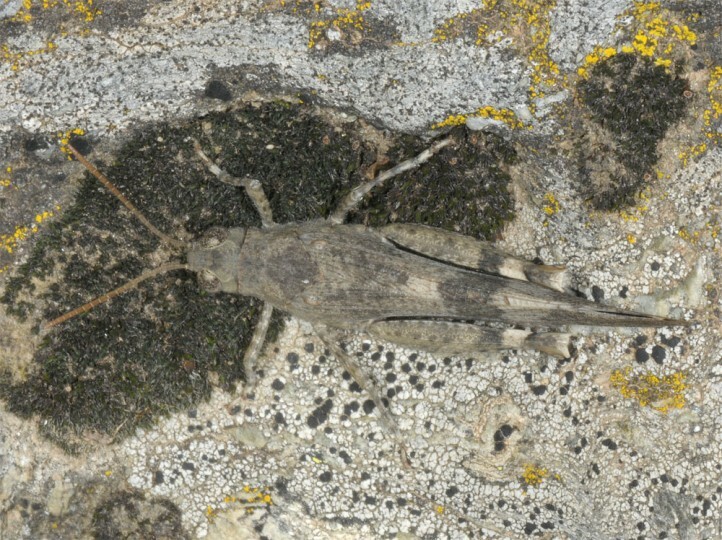 The adults appear in summer and autumn. 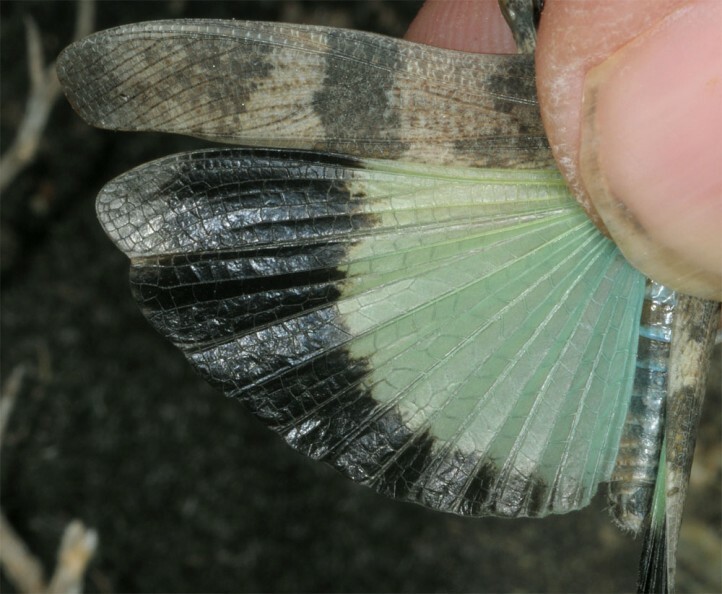 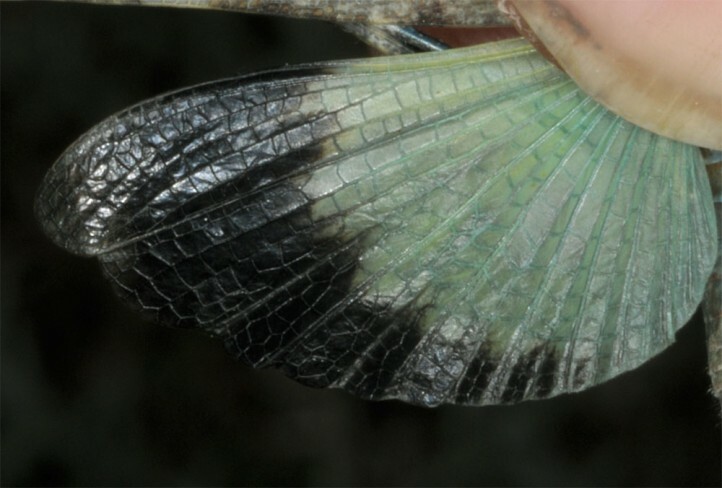 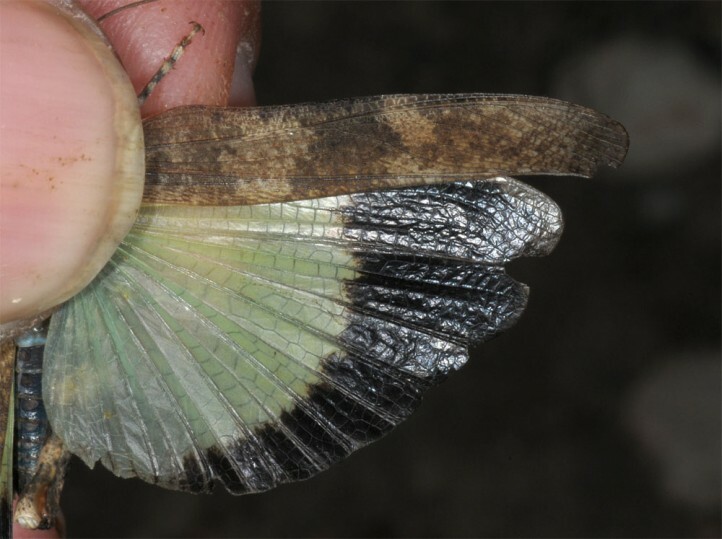 In flight they appear more greenish than bluish. 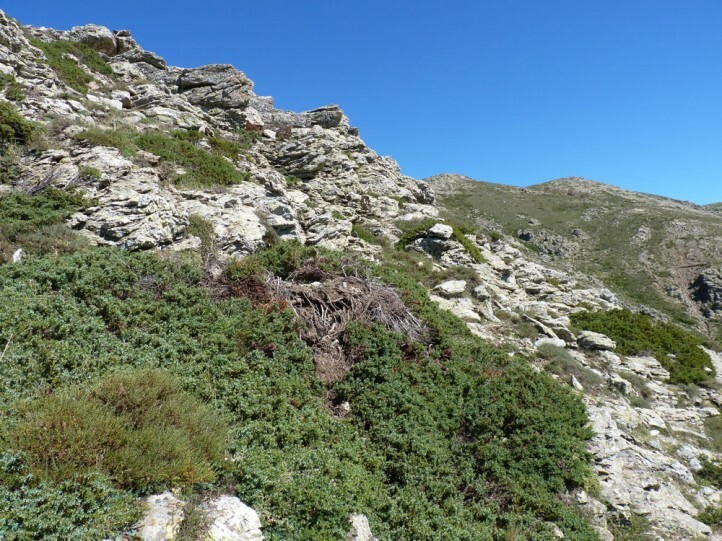 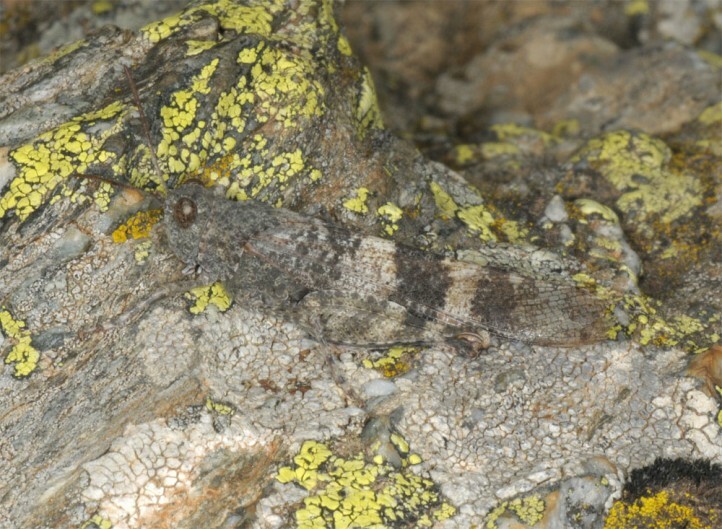 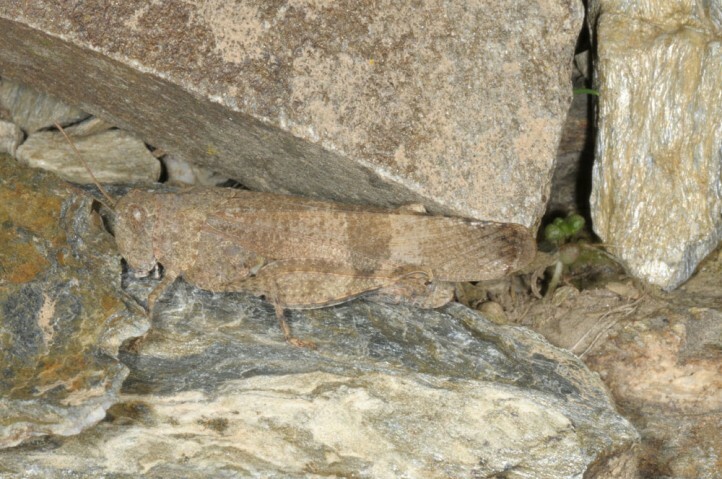 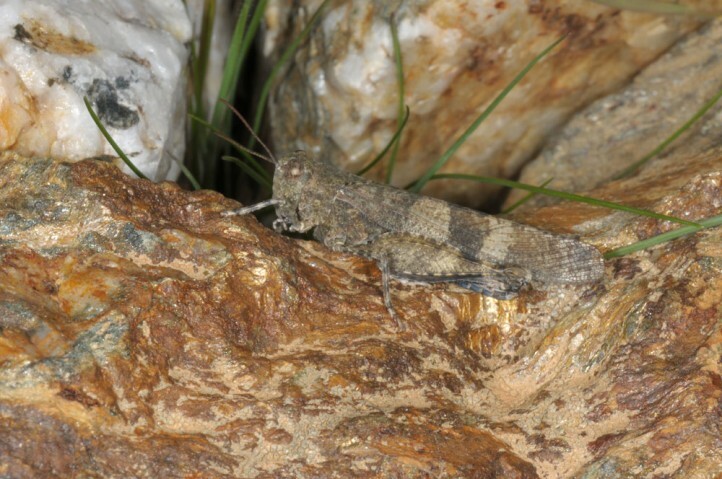 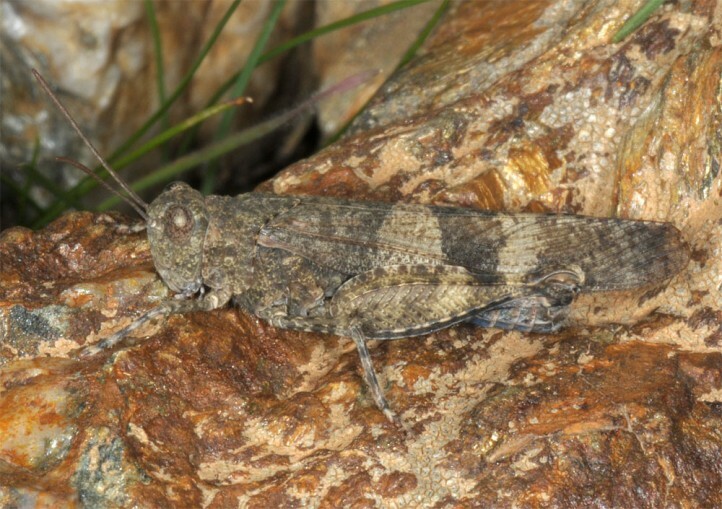 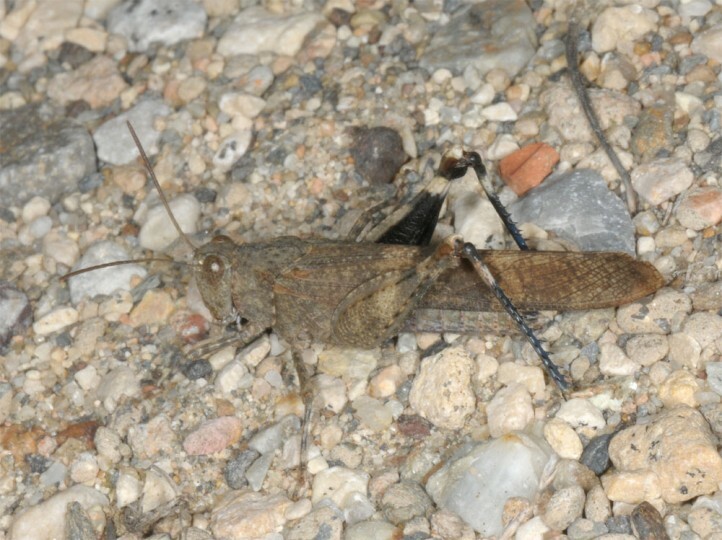 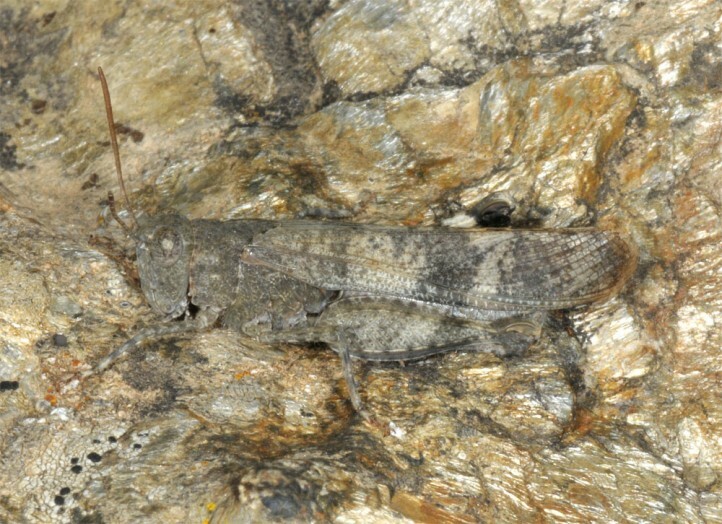 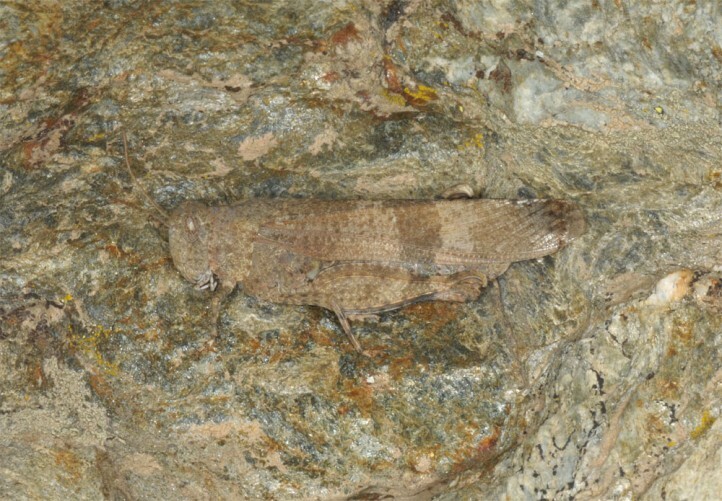 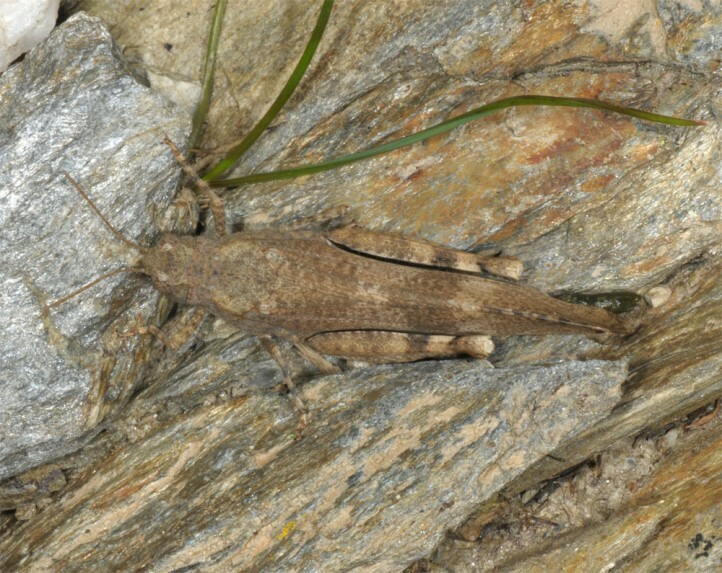 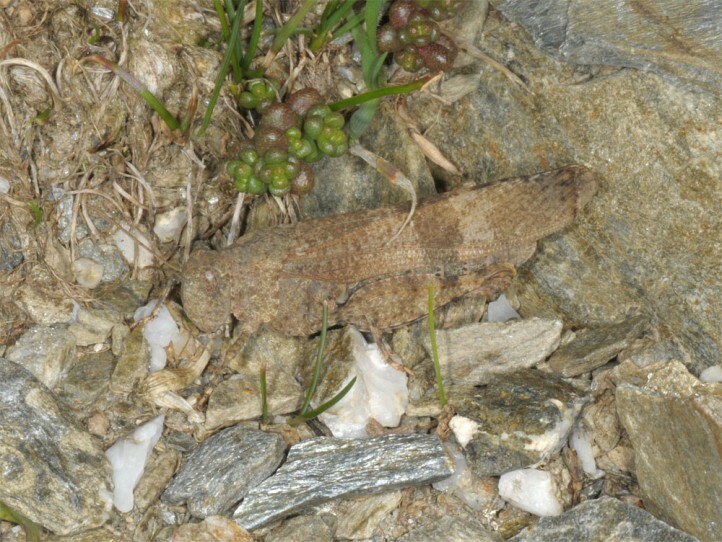 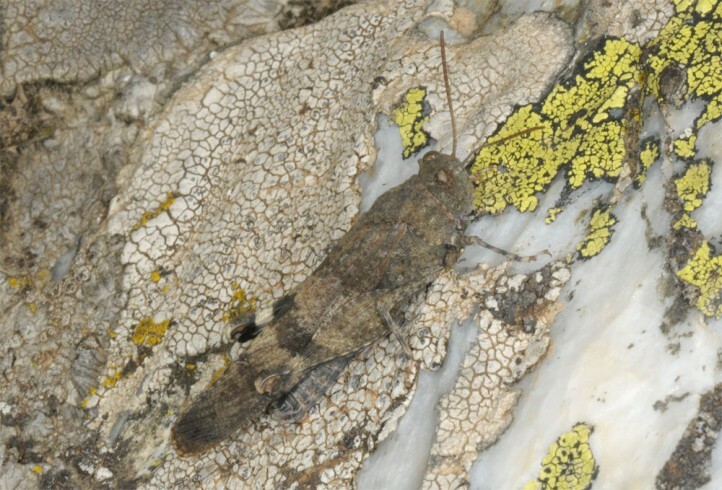 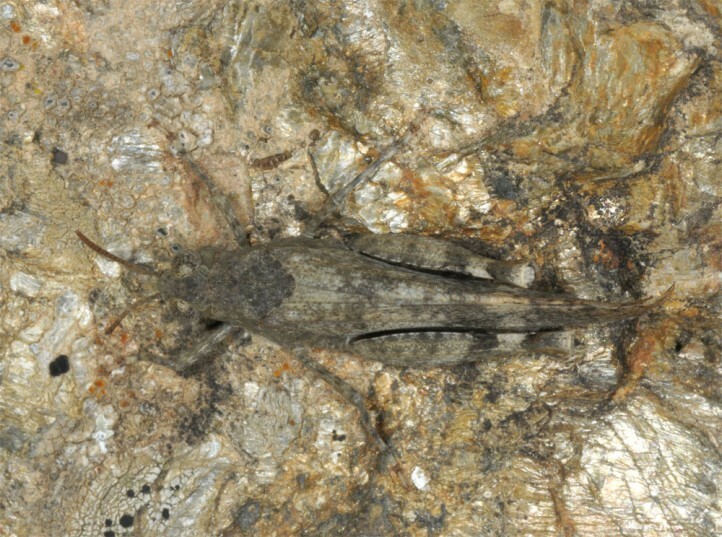 Oedipoda fuscocincta occurs in N-Africa, the Iberian Peninsula and in Corsica and Sardinia. 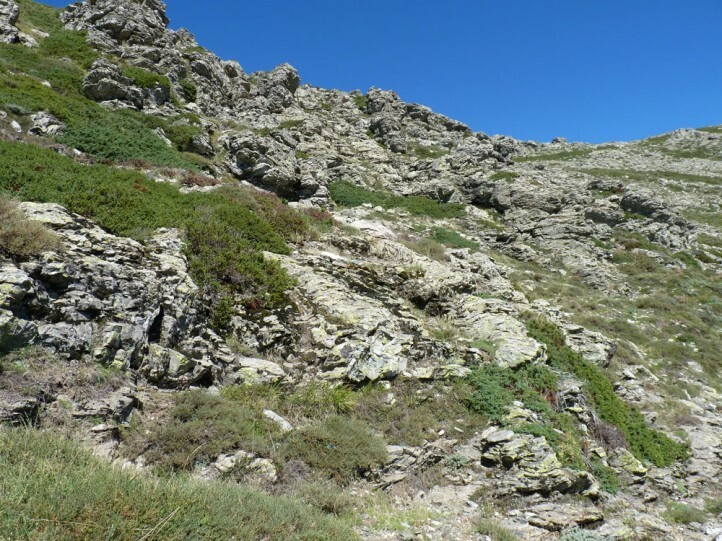 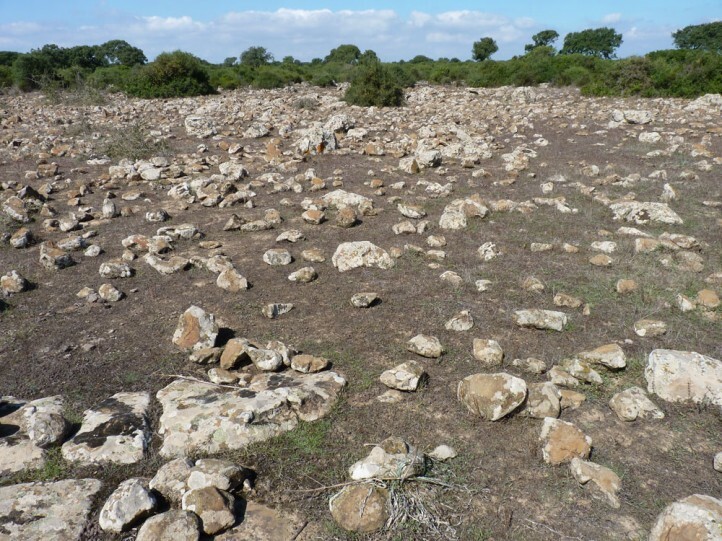 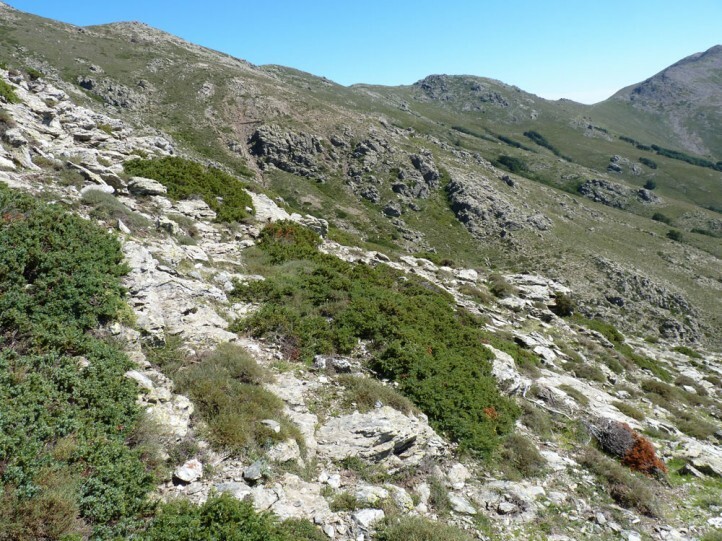 In Sardinia, it is quite local, but principally widespread from the lowlands up to more than 1800m. 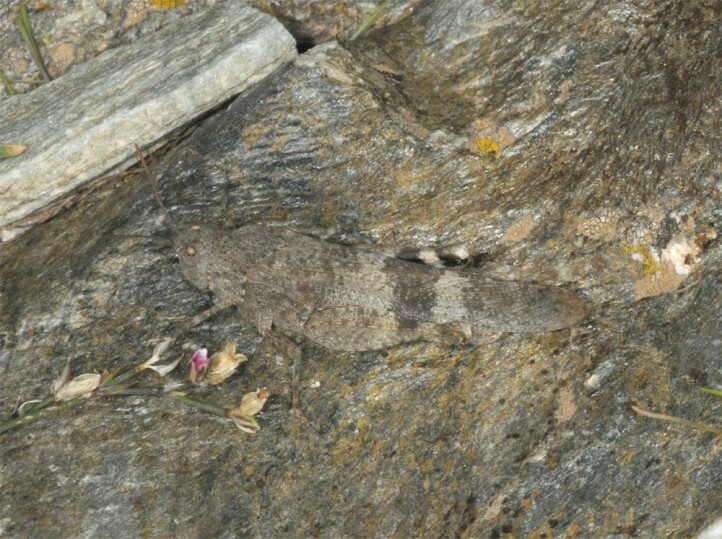 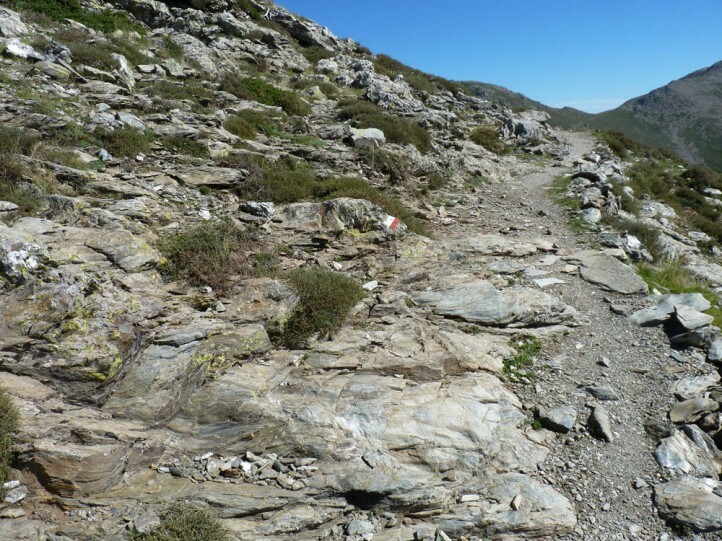 I recorded it most commonly on rocky slopes in the Gennargentu mountains.